Grenada is the Spice Island of the Caribbean. A place of exotic nutmeg and rum aromatics, steaming tropical forests, shimmering waterfalls and idyllic tropical beaches. Grenada is made up of the main island and six smaller islands and is home to over 100,000 people. Popular attractions include Grand Anse Beach, Grand Etang National Park and the Underwater Sculpture Park. Get ready for a Caribbean holiday you will never forget with cheap flights to Grenada. Grenada is home to Maurice Bishop International Airport (GND), which is a 25-minute drive from St. George’s, the capital city. Some of the best beaches in the world can be found along the coastline of Grenada. Grande Anse, La Sagesse, Magazine and Morne Rouge are some of the most beautiful. Known as the Spice Island, Grenada is one of the largest exporters of spices. Follow tropical aromatics through spice markets or explore the local culinary culture on a food tour. 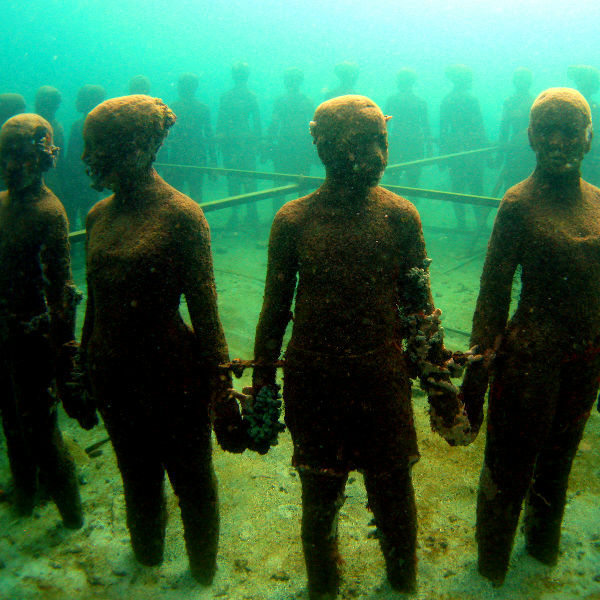 Renowned as the ‘Shipwreck capital of the Caribbean’, Grenada is a place that never fails to seduce with its underwater marvels and tropical seascapes. Grenada experiences a tropical climate. The rainy season spans June to December and the dry season lasts from January to May. June to November is hurricane season. Peak travel season to Grenada is from mid-December to mid-April when the weather is delectable and the island bristles with activity. However, to avoid the throngs of tourists and soaring prices, visit during May or June. These months offer pleasant weather and more affordable rates. March to June offer the best visibility for diving and snorkelling, June and July are great months to see turtle hatchlings, and August sees the island bursting to life as carnival fills the streets with music and colour. Notable events include the Grenada Sailing Festival (January), Carriacou Festival (February to March), Grenada Drum Festival (May) and Spicemas Festival (July to August). For cheap flights to Grenada, the best time to visit is between June and November. Grenada is the Spice of the Caribbean. Ancient rum traditions live on in the 18th century River Antoine Rum Distillery, one of the oldest distilleries in the Caribbean. A tour of the estate gives you a chance to learn about the rum production process and taste some of the delectably potent brew. 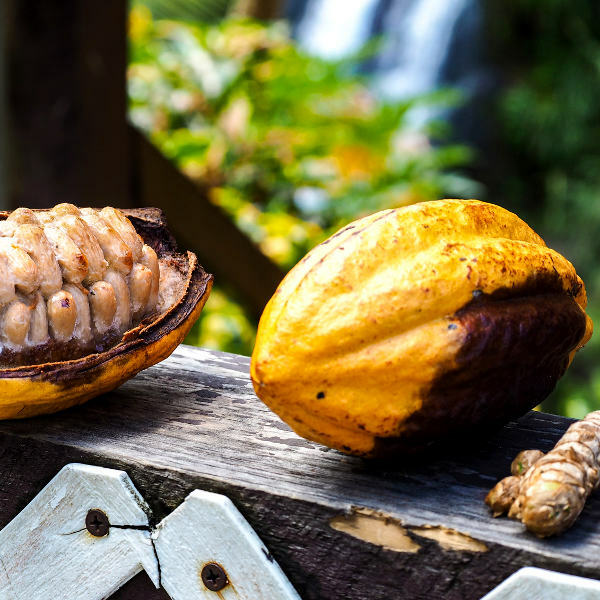 Follow the tantalising aromatics of cocoa to Belmont Estate for a fascinating tour of an authentic cocoa plantation and the Grenada Chocolate Factory. The Gouyave Nutmeg Processing Station in St. George’s is a must-visit for anyone interested in the rich spice history of the island. And then there are the beaches. Black Bay is famous for its volcanic sand, La Sagesse is one of the most romantic locations in the Caribbean, Morne Rouge is perfect for families and Grand Anse is famous for its beauty. Follow hiking trails through the steaming rainforests of Grand Etang National Park to find gushing waterfalls and mischievous Mona monkeys, or head to Levera National Park to gaze into the shimmering depths of a water-filled volcanic crater. Compare several airlines and book your cheap flights to Grenada online at Travelstart! 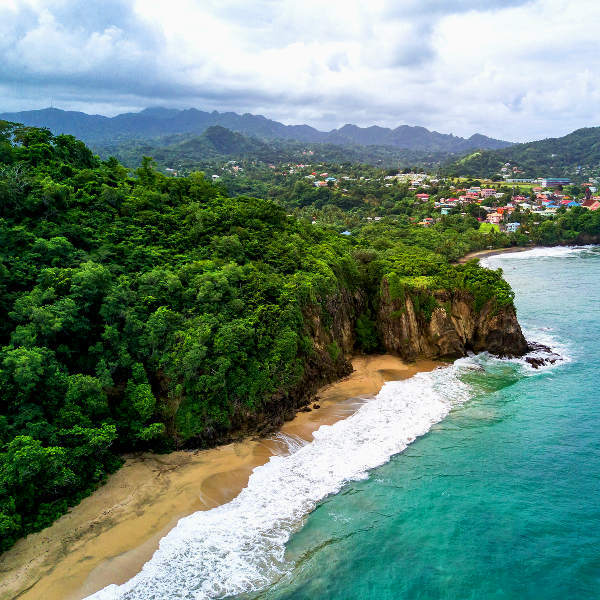 Although Grenada is considered a relatively safe destination, you should still take the usual precautions and use common sense as you would anywhere else in the world. Travel insurance to cover theft and medical expenses is recommended. Petty crime does happen; leave valuables, important documents and large wads of cash in the hotel safe. Remain vigilant of your surroundings and avoid isolated areas such as beaches and narrow streets (especially at night). Make use of licensed taxis at night and agree on a fare beforehand. Keep hotel and car doors locked. You should familiarise yourself with the local laws and customs. Proof of yellow fever vaccination is required if you are travelling from an infected country. Mosquito-borne diseases such as Zika virus, dengue fever and chikungunya are present, so precautions should be taken to avoid bites. Vaccinations for hepatitis A & B, typhoid and rabies are recommended. Routine vaccinations include MMR, diphtheria-tetanus-pertussis, meningitis, varicella, polio and influenza.